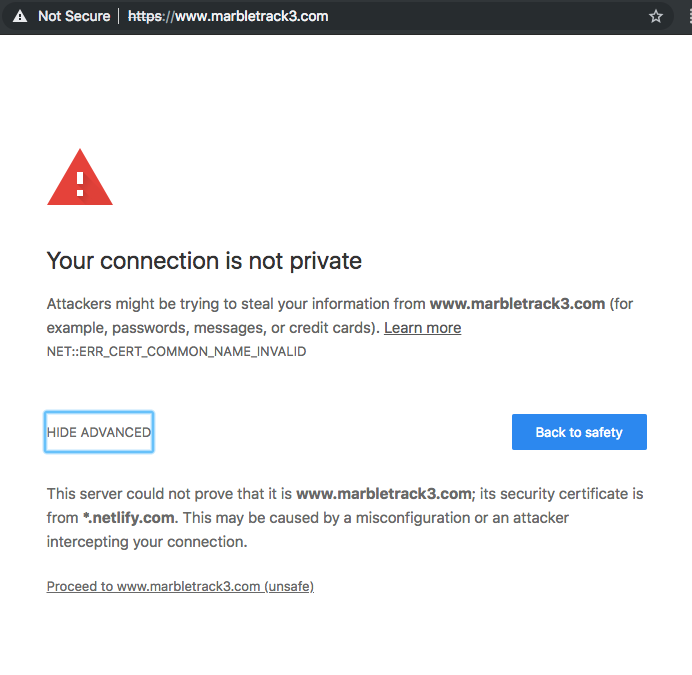 Dang marbletrack3.com is broken now. 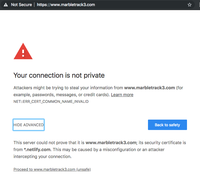 Netlify created the SSL cert and neither of my browsers like it. I will switch back to hosting on Dreamhost if Netlify cannot sort it out. I have created a support ticket with Netlify. And to think I was about ready to shift all my static sites over.